First Officer at Cargolux Airlines International Joe Diebolder, better known as “Captain Joe” among the social media platforms, finished his flight school training in Vero Beach/Florida in 2008 and has since then been working as a professional pilot. He first started out as a skydiving pilot on the Pilatus Porter to gain experience and then transitioned to Executive flying on a Beech King Air. After two years in the industry, he was hired by Airberlin to fly within their network on the Airbus A320 family. Eight years and 5000 jet hours later, he fulfilled his life long dream to fly the Boeing 747 for Europes´ leading cargo airline, Cargolux. In the meantime, Joe used his off days to educate passengers and young aviation enthusiasts via video tutorials on YouTube and Instagram. 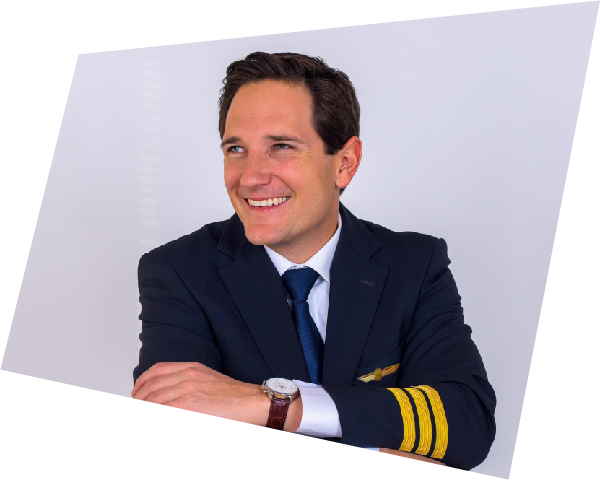 Answering classic questions such as, “Can a passenger land a plane?”, or simplifying flight student worries “How to enter a holding pattern and who is Bernoulli?”, Joe is eager to help out, motivate and inspire the next generation of pilots! Since the beginning of 2019, “Captain Joe” has become the worldwide largest aviation related channel on Youtube with close to 1 Million subscribers. Captain Joe will help inspired youngsters to understand what exactly they need to pay attention in order to become a successful pilot. He will also explain principles of Aviation English grading and giving his advices on how to acquire desirabe level of knowledge.